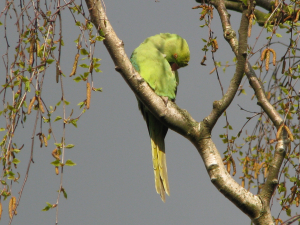 Observation - Parakeets - UK and Ireland. Description: Havent seen them round here before but there is strting to be quite a few. Havent seen them round here before but there is strting to be quite a few.